A neighbor reported the blaze at a Ridge Road home. 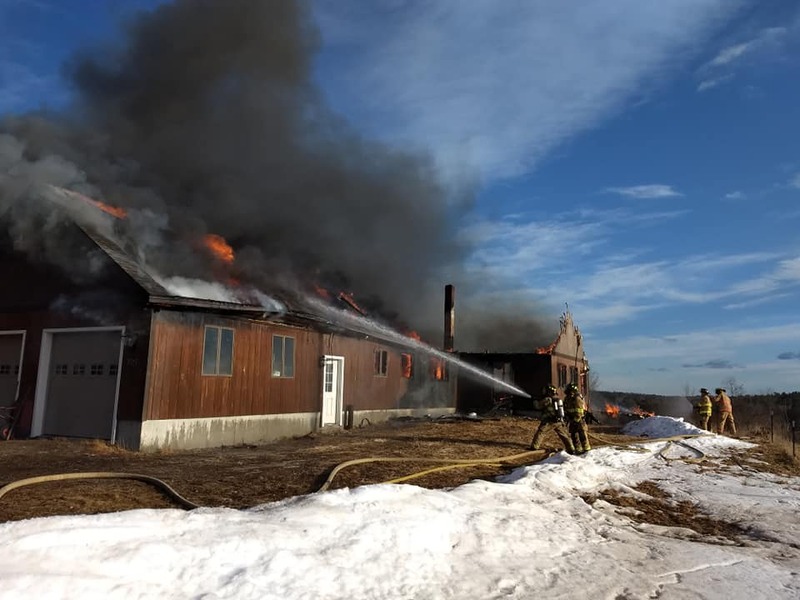 A two-alarm fire destroyed a home on Ridge Road in Bowdoinham on Saturday. Bowdoinham Fire/Rescue reported on Facebook that the fire was reported at about 5 p.m. by a neighbor. The house was well involved when the department arrived and firefighters focused on trying to save the garage, but the fire had already spread to the garage attic and the fire continued to spread. The homeowners were not home at the time of the fire and all pets were accounted for. The department received help from Richmond, Bowdoin, Dresden, Litchfield and Topsham fire departments. The cause of the fire is under investigation, the department said.